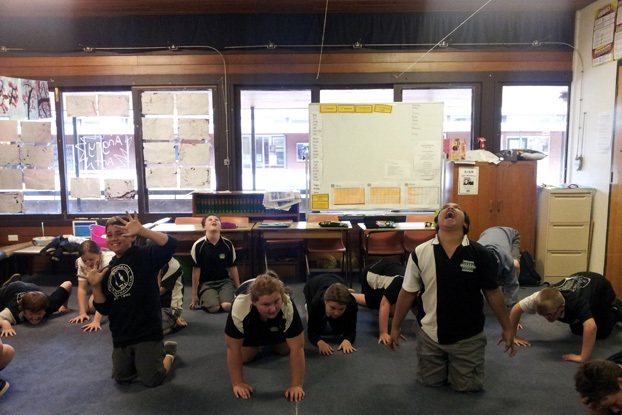 During October and November STC piloted our professional development program, School Drama, in Broken Hill. 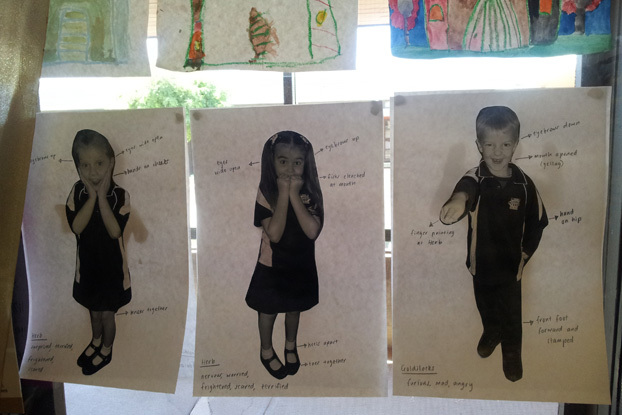 School Drama is a professional development program for primary school teachers, which demonstrates the power of using drama pedagogy with quality literature for improving English and literacy in young learners. STC partners each participating teacher with a teaching artist over a school term and together they explore how drama strategies can be integrated into any area of English and literacy, such as narrative writing, speaking and listening and/or student engagement. 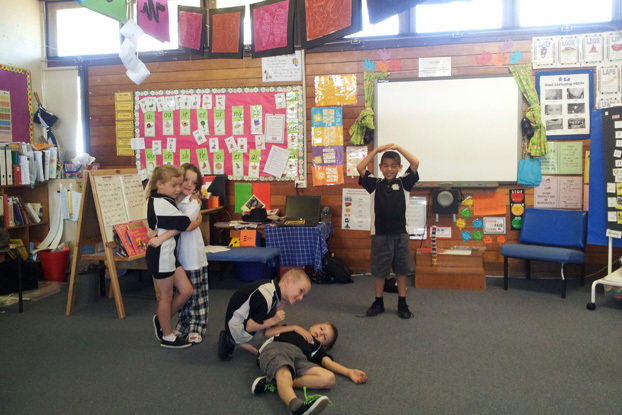 Developed over a four-year pilot program in partnerships with University of Sydney and leading academic Professor Robyn Ewing, School Drama is designed to increase teachers' confidence and capacity in using the Arts as a teaching tool, which in turn improves literacy outcomes in primary students. Today is my last day in Broken Hill and it will be a bittersweet homecoming - though it's always great to be heading home, I've had such a wonderful time in this town and met some incredibly dedicated teachers and creative students. Working with the three teachers at Broken Hill Public School over the last three weeks I've seen their confidence grow in being able to use drama strategies in their classes and watched as their students surprised them with their creativity, engagement, confidence and speaking and writing skills. The teachers, students and I have had some great fun working with drama and literature during the program. We've explored decisions that characters are making, created still images and soundscapes, written diary entries and letters in role as characters at crucial moments of the text, created characters and improvisations, written our own fractured fairy-tales and even recreated a medieval wedding. I've loved watching students get excited about great stories, predicting what they think will happen next, getting into the thoughts and feelings of the characters and recreating moments from the text. I've loved that as we engage with the characters more deeply students are surprising their teachers with the level of insight and empathy in their responses. I've loved watching their writing get more and more detailed as we explored the text more and more deeply. I love that the young students who were writing a few sentences at the beginning of the session are now asking the teacher what they do when they get to the end of the page. I've loved watching their confidence grow and seeing the most shy, quiet students becoming more expressive and participating enthusiastically and often. And I love that because the program is about developing the skills of the teachers, that they'll be able to continue working with drama in their classrooms even after we leave today. And that's one of my favourite things about School Drama: it's a partnership that gives teachers the skills and confidence to embed this work with drama at the heart of their practice so that the benefits continue long after the residency ends and impact the learning of all their future students. 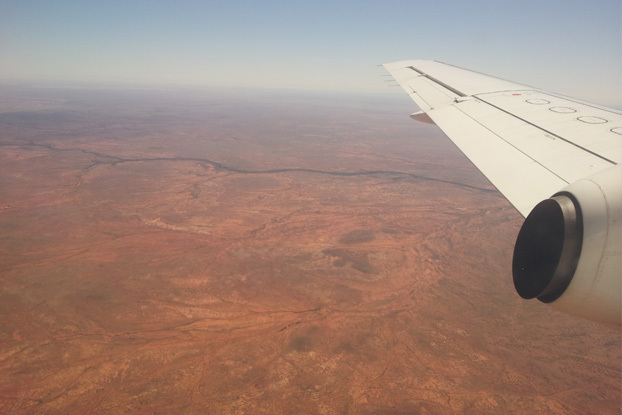 We'll be going back to Broken Hill next year, but in the meantime I can't wait to read the students' final stories and get the results from the teachers on their progress. It's Sunday in Broken Hill. This is the land of oversized park benches, stunning desert sculptures, Mad Maxmemorabilia and perennially blue skies. The mercury has shot past 38 degrees today so our planning for our final week of lessons is being fuelled by a steady stream of chocolate paddle pops. It has been a busy week. We have been interviewing princesses and princes, visiting haunted forests and peaceful islands, building machines to manufacture cupcakes and helicopters and debating the virtues of capturing a Sea Monster vs setting it free. Working across three primary schools, with seven different teachers and students from Yr 1 through to Yr 6, no two days have been the same for Toni and me. There have been some wonderful moments along the way. In one class, a usually quiet student transformed into a feisty, wise-cracking character named Bossy-boots. In another, classmates whispered sage advice to a perplexed Frog Prince reminding him of long-forgotten benefits of being a frog. Students became professors, teaching their teachers about artefacts they had discovered on an archaeological dig. Teachers found themselves chairing a meeting as a Town Mayor translating messages from Gibberish into English and back again and devising their own scripts and activity ideas for us to explore in the week ahead. I have been so impressed with the creativity of the students in the groups I have worked with. Not surprising, considering the enthusiasm and openness with which their teachers have also leapt into School Drama work. I'll never get tired of those jaw-drop moments when students take an activity and run with it, surprising their classmates and their teacher in the process. The delighted smiles appear when a teacher becomes one of the characters in the story with them are also pretty hard to rival. One teacher described to Toni and I how important it is to them that students see school as a safe place where they can absolutely and unashamedly be themselves. My weeks here have further confirmed my conviction that drama, while undoubtedly improving literacy skills, might be most valuable in this regard. It gives students freedom, support and tools to articulate themselves and their unique vision of the world. Getting to witness that on a daily basis at the moment is pretty darn special.